In preaching, every participant matters and every relationship matters. Yesterday we looked at the God/Preacher bond. Now let’s consider the Preacher and the Listener. Again, dangers and potential! 1. There is a danger that the preacher will create too much distance through a knowledgeable authority that isn’t balanced with vulnerability and spirituality, leading to disconnect from the listener. 2. There is a danger that the preacher will collapse themselves too far into the listener’s situation by a reverse of number 1 and have nothing of value to offer from God’s Word. 3. There is a danger that the Bible will not be seen as a means of hearing God’s heart, but as a weapon to be brandished in berating the listener, or as a curio that offers mere speculation to all present (including, and led by, the preacher). 4. There is a danger that the spiritual nature of preaching will lead to the preacher failing to value the interpersonal communication at the core of preaching – the value of the smile, of eye contact, of vocal tone and variation, of gesture, etc. 5. There is a danger that the preacher will resist performance and somehow also fail to value the interpersonal connection formed in preaching – both in vulnerability and personal elements of content, and in delivery aspects such as warmth and energy. The preacher has the privilege of standing in the midst of God’s people and yet leading them in responsiveness toward a God who delights to stir hearts through His self-revelation in the Word. Sometimes a church will refer to a worship leader as the lead worshipper. 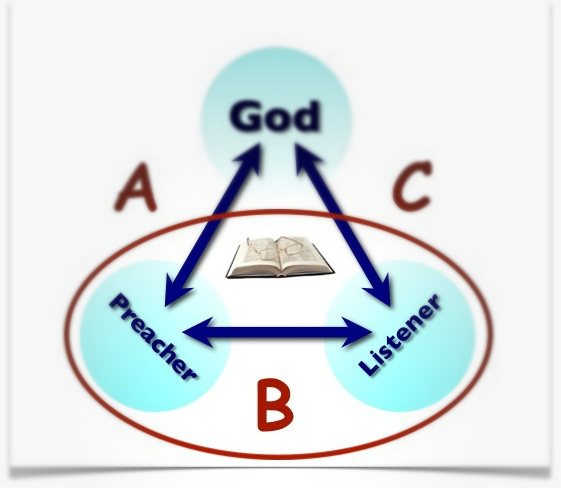 The preacher is the lead responder to God’s Word. The preacher doesn’t stand outside the gathering of listeners, but in their midst. Yet the preacher stands there with a word from a communicating God. Can it get any better than this, to be playing a key role in a community of responsiveness toward a loving God?